Made of 100% cotton, the Storm Wrist Liner absorbs moisture, adds comfort, protects your skin from irritation, and increases the life your any wrist brace. As soon as I opened the package that the liner came in, all of the white trim around the liner started disintegrating. It cracks and turned yellow instantly like the white trim was very, very old. I ordered this item in the purple and the body of the item is fine, it's just the white trim that is bad. I would think twice about ordering this item. Wrist liners used to wick wrist moisture while bowling w/ a rubber-lined wrist brace. DO YOU GET ALL FOUR FOR 16.99 AND DO YOU GET ONLY 1 COLOR? Hello Jojo! You only get one wrist liner for this price. 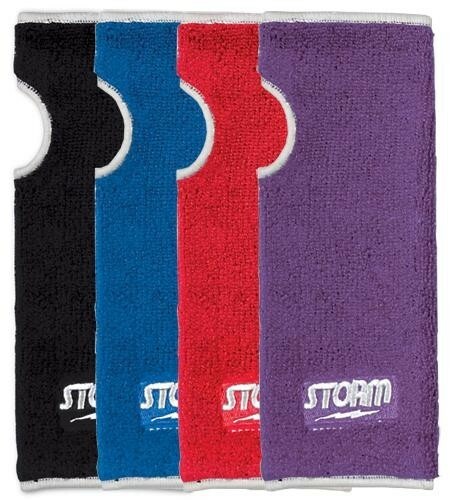 Due to the time it takes to produce the Storm Wrist Liner ball it will ship in immediately. We cannot ship this ball outside the United States.